Dirt, dust and even mold can get trapped in your air ducts, which can pose a problem over time. This debris can clog up your air conditioning and heating systems, making them less energy-efficient and costing you more money. Even worse, tiny particles of contamination can make their way into your home, floating through the air that comes out of your vents and aggravating allergies or worsening other breathing conditions, such as asthma. While mildew and mold are clearly the worst offenders, at least when it comes to threatening your family’s health, clean air ducts are necessary if you want clean air in your home. At KIWI Services, we even offer a two-year air duct cleaning guarantee, which you won’t find anywhere else in the industry. Our pledge to you is that we’ll eradicate all mold and mildew with our cutting-edge antimicrobial treatment. The treatment will prevent the regrowth of mold and mildew for two full years or we’ll reapply it at no charge to you. 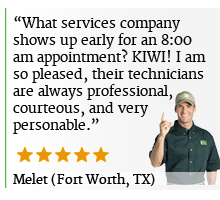 Our customers love our air duct cleaning services, too; just have a look at what they’ve been saying about our Fort Worth and national teams. Our Fort Worth air duct cleaning team will remove all your vent covers, vacuum out the dust and debris and ensure that your ducts are free from mold and mildew. We’ll also inspect for dirt, soot and other contaminants to make sure that your family is breathing clean air. 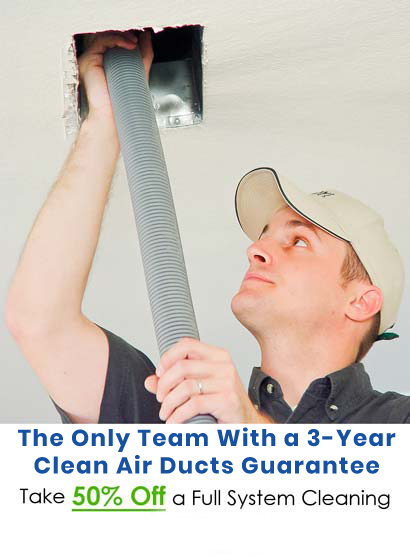 Call us at 817-585-5973 to schedule your complete air duct cleaning. Our Fort Worth team is professional, courteous and incredibly thorough, and you’re going to love the noticeable difference we’ll make in your home.